First we visit the site and discuss the client’s wants and needs while discussing options and budget. Next, we perform a site analysis, which includes: looking at existing conditions, locations of trees, and examining the existing topography. Then, we construct a 3D model of the new property, which showcases the client’s desired elements (ie – pools, fireplaces, outdoor kitchens, etc.). We pay attention to how a person moves through the space, how space will function, and how to beautify every inch of the property. When the design is complete, we visit the clients and walk them through the 3d model, taking notice of the ideas and options we created. 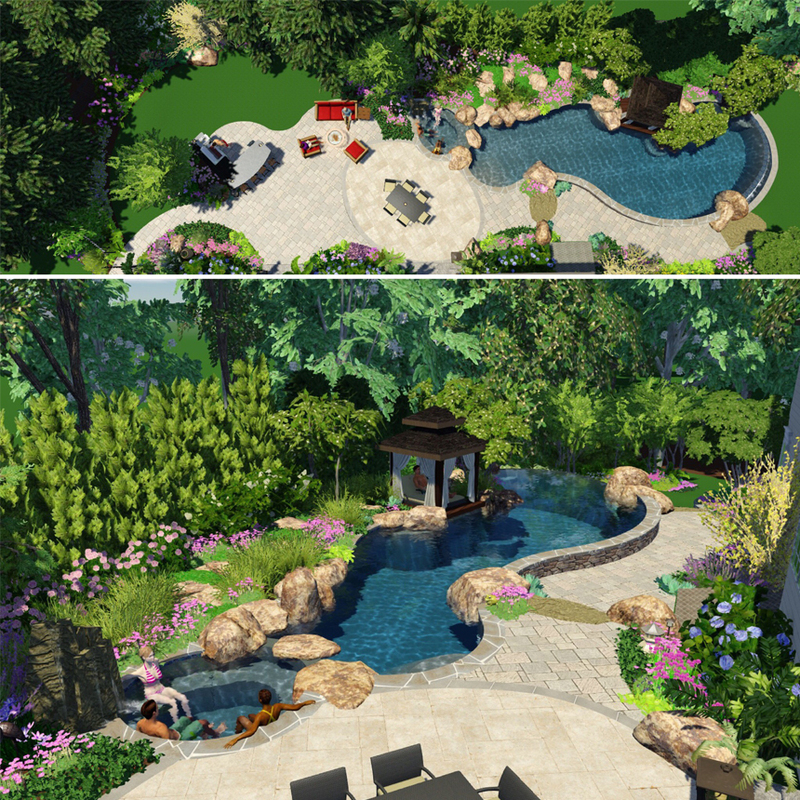 After the tweaks and revisions noted from the client, we deliver the master plan of the new design, and then we help the client find the best pool and masonry contractors for the job. During the construction phase, we continually guide the client to assure the project looks its best, and the design intent is executed properly. Our planting service will prepare your site by moving and transplanting plants, creating new bed lines/garden beds, placing elements like stepping stones and boulders, and hand-selecting plant materials (ie- trees, shrubs, perennials, grasses, and annuals). 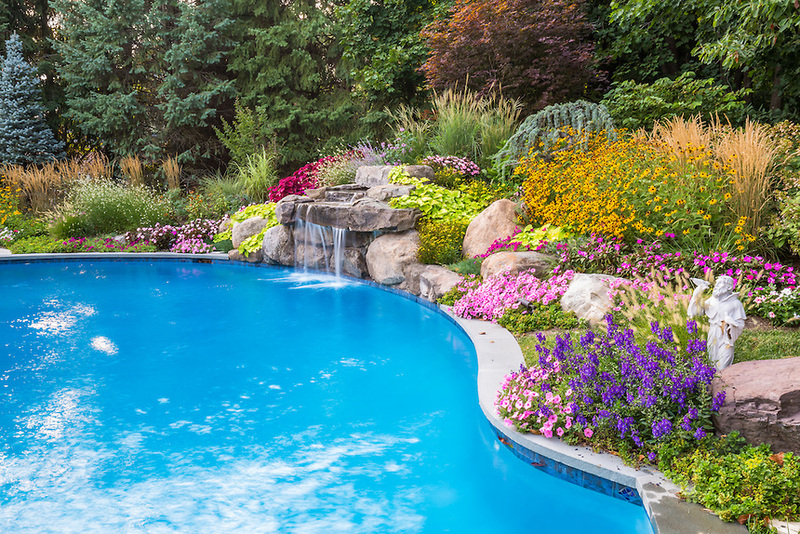 We deliver and install all plant material and make sure all of your existing irrigation is working properly for the new plantings, or, if need be, we bring in licensed irrigation contractors to install new irrigation systems. We also can design and install landscape lighting. We have several long term clients where we maintain their plants and beds on their properties; however, we do not cut lawns, so they are able to hire or keep their existing ‘landscaper’. Additionally, we supplement the landscape work to ensure beautiful gardens that thrive and always look their best. Some of these maintenance activities include: weeding beds, pruning trees and shrubs (rejuvenate them and control size), deadheading plants (to keep them looking clean, tidy, and encourage more blooms), and staking and tying up plants (for strength and stability). Additionally, we also monitor the plants for diseases and pests and add annuals into the gardens and containers to create stunning annual displays. 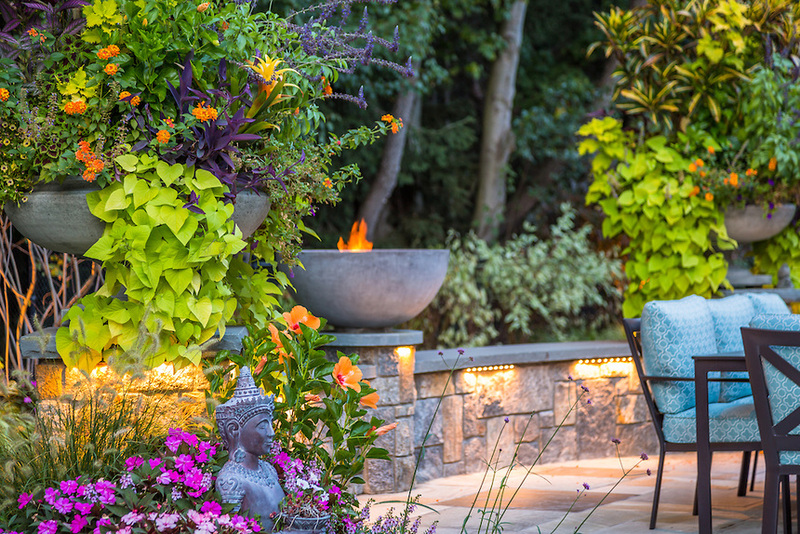 For early spring summer fall and winter, we become a concierge service for our clients to help them manage their landscape investments; and we also do holiday lighting displays for clients both inside and outside of their homes.